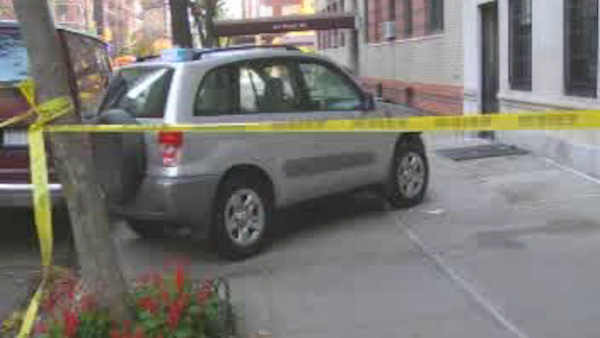 MIDTOWN, Manhattan (WABC) -- A pedestrian was struck and killed by an SUV in Midtown Manhattan Monday afternoon. Police say the victim, 67-year-old Yuenei Wu of Brooklyn, was struck in the crosswalk by the vehicle at about 4:30 p.m. as it turned onto 8th Avenue from West 38th Street. Upon arrival officers found her on the ground unconscious and unresponsive with trauma to her body. Nearly a dozen Good Samaritans rushed to lift the SUV off the woman after she was run over. EMS responded to the location and removed the victim to Bellevue Hospital where she died. The driver remained at the scene and there are no arrests at this time. The investigation is ongoing by the NYPD's Collision Investigation Squad.